The Bible itself cannot even agree on what the Ten Commandments are, as there are different lists. If the writers of the Bible cannot even agree on a list of ten commandments, then why should we trust anything in the Bible? 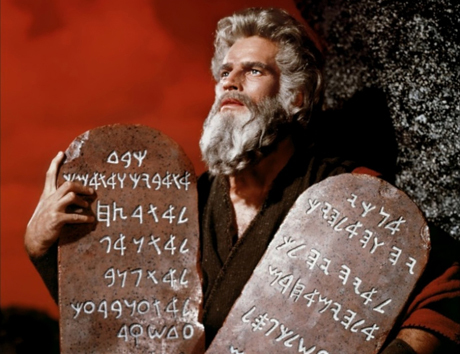 And while it may be easy to dismiss such objections as nitpicking, there is an interesting issue behind that line of questioning: Why are there different lists of what we would characterize as the Ten Commandments? Some people of faith may even be surprised to learn that there are no less than three separate lists of what appear to be the Ten Commandments with some variations between them. It is an issue that I only briefly mention in my book, Ten Essential Words. So what are these lists and why do they differ? I am Yahweh your God, who brought you out of Egypt, out of the land of slavery. You shall have no other gods before me. You shall not misuse the name of Yahweh your God. Honor your father and your mother, so that you may live long in the land Yahweh your God is giving you. Do not worship any other god, for Yahweh, whose name is Jealous, is a jealous God. Be careful not to make a treaty with those who live in the land. Do not make any idols. Celebrate the Festival of Unleavened Bread. The first offspring of every womb belongs to me. Six days you shall labor, but on the seventh day you shall rest. Celebrate the Festival of Weeks with the firstfruits of the wheat harvest, and the Festival of Ingathering at the turn of the year. Do not offer the blood of a sacrifice to me along with anything containing yeast, and do not let any of the sacrifice from the Passover Festival remain until morning. Bring the best of the firstfruits of your soil to the house of Yahweh your God. Honor your father and your mother, as Yahweh your God has commanded you, so that you may live long and that it may go well with you in the land Yahweh your God is giving you. You shall not covet your neighbor’s wife. You shall not set your desire on your neighbor’s house or land, his male or female servant, his ox or donkey, or anything that belongs to your neighbor. So what are we to make of these three lists of commands? Is this evidence, as some would assert, that the Bible is unreliable and cannot agree on even the basic commands from God? First let’s acknowledge that the list between Deuteronomy 5 and Exodus 20 are virtually identical and the minor variations can easily be explained. The book of Deuteronomy is a record of a speech Moses gave some 40 years after the events of Exodus 20. 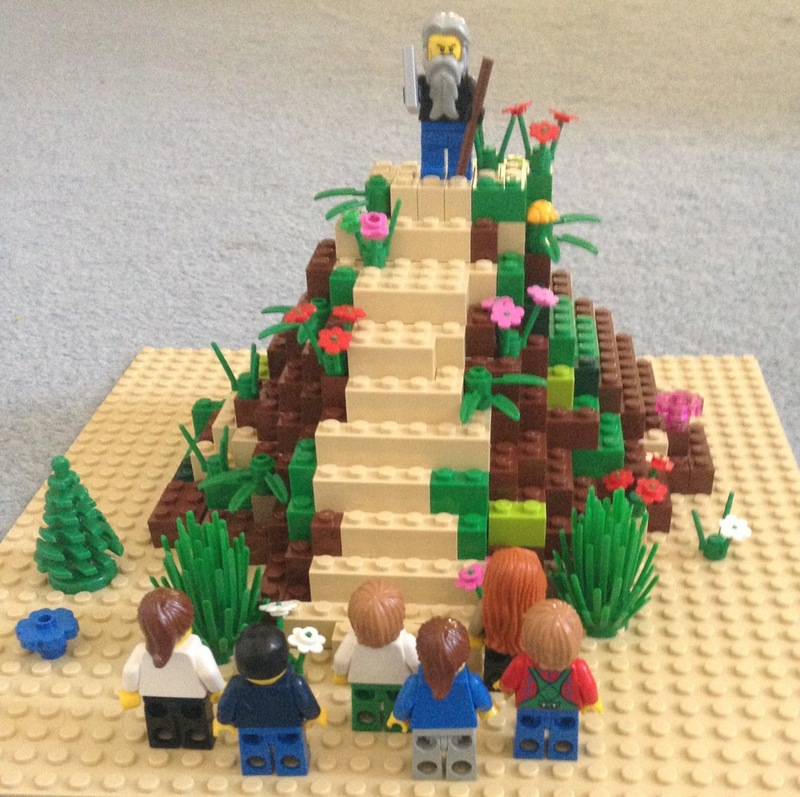 And the account of the exodus wanderings make it clear that Moses is addressing an entirely different group of people in his Deuteronomy address from the group that originally left Egypt. Thus while the Commandments are the same, some of the explanations were no doubt tailored to a different group of people. (For example, in Exodus 20, the basis of remembering the Sabbath was creation, while in Deuteronomy, the basis is “Remember that you were slaves in Egypt.”) There is no real disagreement between these two lists. Then Yahweh said to Moses, “Write down these words, for in accordance with these words I have made a covenant with you and with Israel.” Moses was there with Yahweh forty days and forty nights without eating bread or drinking water. And he wrote on the tablets the words of the covenant—the Ten Commandments. Moses chiseled another set of two stone tablets after breaking the first set. God then writes the Ten Commandments on these stone tablets. For 40 days, Moses was with God listening and understanding all the details of the covenant beyond the Ten Commandments so that he could effectively communicate the covenant with God to the people. So Moses writes the details of this conversation down. What Moses is writing is not the Ten Commandments. This is what we have recorded in Exodus 34. The he in the last verse above, then refers to God and not Moses, since the beginning of the section makes it clear that God wrote the Ten Commandments and Moses wrote down other things God communicated. So Moses carries down with him what God had written down – the Ten Commandments – along with many other notes and specific commands that he received from God. It is not hard to imaging that in addition to God writing the Ten Commandments down for Moses, Moses also wrote them down, along with a collection of other instructions for worship and governance. So while the words of Exodus 34 appear to be another version of the Ten Commandments, they are in fact a different list of some other commands and explanations received from God. This is what the text indicates. Some have speculated that what is recorded in Exodus 34 may be a set of ritual commandments, meant to mirror the Ten Commandments. This may well be the case also. This is an interesting question and can be confusing, especially if we are unwilling to let the text speak for itself. And we should always remember that there is bound to be some degree of difficulty in understanding some of the details of a document written 3,000 years ago. 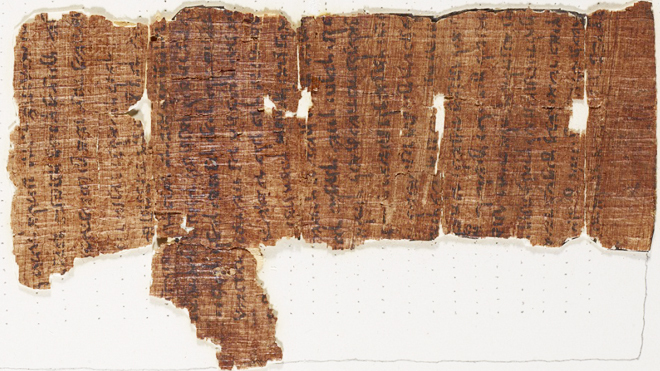 Before the Dead Sea Scrolls were found by a Bedouin shepherd in 1947, the “Nash Papyrus,” also called “The Ten Commandments,” was the oldest known manuscript containing a text from the Hebrew Bible. It gets its name from the Egyptologist Walter Llewellyn Nash who purchased the manuscript from an antiquities dealer in 1902.